Discover the town of Hastings with its host of attractions and smugglers caves, a shipwreck and the site of William and enjoy peace and quite, seefood ans refreshing sea air. Picture the ideal English country scene of gently rolling hills, where over a thousand years of history have shaped a nation. 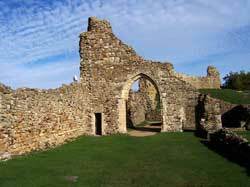 From a shipwreck and the site of William the Conqueror’s triumph at the Battle of Hastings to the coasted strongholds steeped in smugglers’ love. Hastings is the ideal place to relax and unwind.